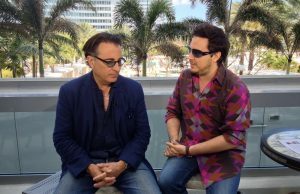 Host Max Tucci sits down one on one with actor Andy Garcia to discuss his role in Rio2, Miami walk of Fame and Film Rob the Mob as well as life in Miami. García was born Andrés Arturo García Menéndez in Havana, Cuba. His mother, Amelie Menéndez, was an English teacher, and his father, René García Núñez, was an avocado farmer and attorney in Cuba, and later owned a fragrance business in the United States. García has an older brother, René. When García was five years old, the family moved to Miami, Florida, after the failed Bay of Pigs Invasion. Over a period of several years, they built up a million-dollar perfume company. García was raised as a Roman Catholic and attended Miami Beach Senior High School, where he played on thebasketball team. During his last year in high school, he became ill with mononucleosis, which convinced him to pursue a career in acting. He began his acting career taking a drama class with Jay W. Jensen in his senior year at Miami Beach Senior High School. He graduated from Florida International University in Miami. 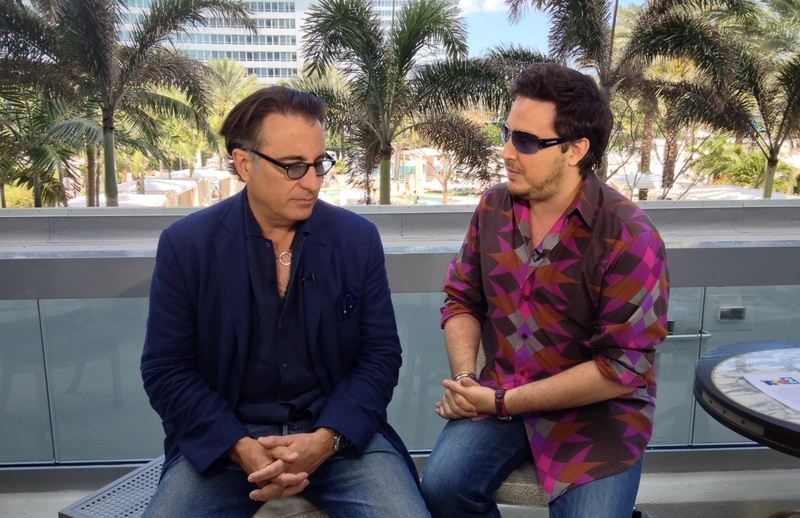 Andrés Arturo García Menéndez (born April 12, 1956), professionally known as Andy Garcia, is a Cuban American actor. He became known for The Godfather Part III, The Untouchables, Internal Affairs and When a Man Loves a Woman. More recently, he has starred in Ocean’s Eleven and its sequels, Ocean’s Twelve and Ocean’s Thirteen, and The Lost City. García was nominated for the Academy Award for Best Supporting Actor for his role asVincent Mancini in The Godfather Part III. Actors Jamie Foxx and Andy Garcia are the first two stars being inducted into the Miami “Walk of Fame” Friday. The new “Walk of Fame,” which features stars designed by artist Romero Britto, is at Bayside Marketplace at 401 Biscayne Boulevard. The “Walk of Fame” is a non-profit corporation dedicated to supporting the arts in Miami. The inaugural induction took place in conjunction with the world premiere in Miami of “Rio 2,” which stars Foxx, Garcia, Anne Hathaway, George Lopez, Kristin Chenoweth and Tracy Morgan. Kill The Messenger, with Jeremy Renner, Ray Liotta and Michael Sheen, set for release on October 10.
while it’s just been announced that he’ll team up with Sir Anthony Hopkins and Annette Bening in Hemingway & Fuentes, which is yet to receive a release date.